2019 Off To A Big Start! 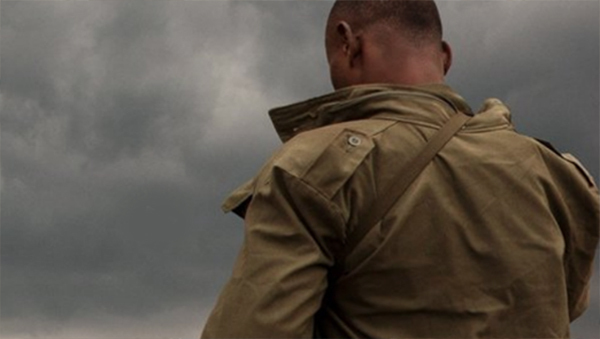 The Democratic Republic of the Congo is one such a place, a mineral-rich Central African country that, over the last two decades, has seen more than five million conflict-related deaths, multiple regime changes and the wholesale impoverishment of its people. Yet though this ongoing conflict is the world’s bloodiest since WWII, little is known in the West about the players or stakes involved. 'The Big Night In' is The Bioscope's new night of cheesy movies and all-you-can-eat pizza! That's right, from the moment the film starts, until the credits, we will keep bringing the cheesy goodness into the cinema! All you have to do is take from our staff and share the love around. This is one for all those not looking to go out and be all fancy. This is that night in, where it was just you, a group of your friends, a bad VHS copy rented that day, and enough pizza for everyone. So come comfy! We welcome blankets and pillows, and don't be afraid to come in the same clothes you can climb into bed later that night in! This is a safe space! We'll have bottomless hot chocolate for everyone in their PJs. *Ticket includes all-you-can-eat pizza for the duration of the film only. Kat Stratford is beautiful, smart and quite abrasive to most of her fellow teens, meaning that she doesn't attract many boys. Unfortunately for her younger sister, Bianca, house rules say that she can't date until Kat has a boyfriend, so strings are pulled to set the dour damsel up for a romance. Soon Kat crosses paths with handsome new arrival Patrick Verona. Will Kat let her guard down enough to fall for the effortlessly charming Patrick? 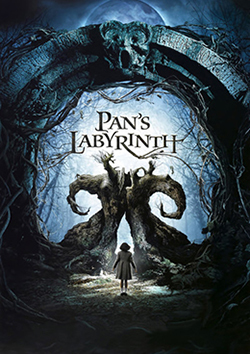 You've Never Seen The Film Pan's Labyrinth!? The Bioscope is proud to bring you a new signature event that celebrates the films that some of us adore, that others might have completely missed! If this one has passed you by, or you've always been meaning to watch it, now is your chance! If you love it and want a re-watch, we want you to bring along your friends or partners that haven't seen the film. If you know and love the film, tag your friends in the facebook event now. Anyone who tags friends will go into a draw before the film starts, and one winner will get themselves a new Bioscope T-shirt. Also on the night, anyone who brings someone or people who haven't seen the film, earns themselves a FREE bucket of The Bioscope's finest popcorn! From executive producer Black Coffee, and director Kagiso Lediga. 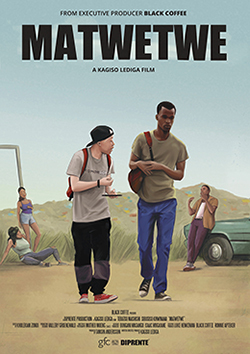 MATWETWE (WIZARD) is a coming of age adventure following Lefa and Papi, best friends and recent high school graduates, on the hustle of their young lives. Over the course of an action packed New Years Eve in the iconic township of Atteridgeville, the boys try to score a huge deal, dodge a king pin gangster and his violent minions, get the girl and ultimately save their lives in this hilarious escapade. Ladies and Gents, this is the moment you've been waiting for. 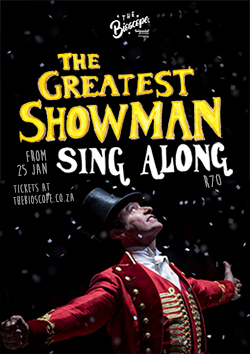 After the sold out success of the Mamma Mia, Rocky Horror and Mary Poppins Sing Alongs, The Bioscope is proud to bring this modern musical sensation back to the big screen! This is your chance to unleash those previously inhibited musical-watching urges, and finally be in a safe space to sing your favourite musical numbers at the top of your lungs! No judgies, this is you! There will be a shot of old timey medicine* to help grease those windpipes on your way in. As well as wherever possible, we'll try to have some friends in the audience to help lead the singing and pitching! *(not for persons under the age of 18). 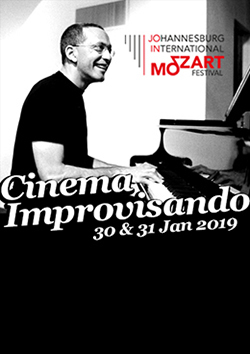 The Johannesburg International Mozart Festival returns to The Bioscope this January. Paul Hanmer, Composer-in-Residence 2012, is back for one of our annual favourites. This year, he and his team will be improvising a soundtrack to a collection of films. 30 JAN 7:30pm. BOOK NOW. French director Georges Melies. The line-up includes The Impossible Voyage (1904), A Trip to the Moon (1902) and Conquest of the Pole (1912). Paul Hanmer (keyboard); Dan Selsick (trombone); Tlale Makhene (percussion) In association with the IFAS Culture Le Movie Club. 31 JAN 7:30pm. BOOK NOW. The second in the series of Cinema Improvisando for JIMF 2019, Paul Hanmer and his team take on Buster Keaton’s seminal work The General (1926), inspired by the Great Locomotive Chase, a true story of an event that occurred during the American Civil War. Paul Hanmer (keyboard); Dan Selsick (trombone); Tlale Makhene (percussion).